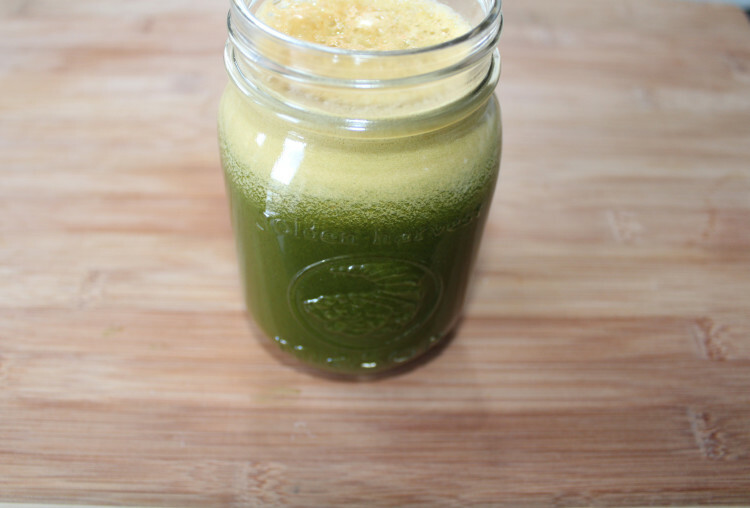 I love to squeeze in a fresh juice whenever I can. 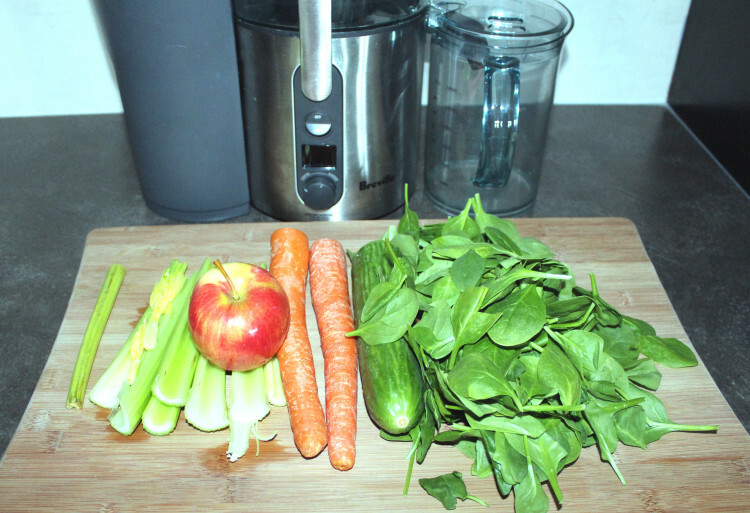 The good thing about juicing is that it is quick and easy with a good juicer. I prefer the Breville with the attached canister cause it makes for a super easy clean up. 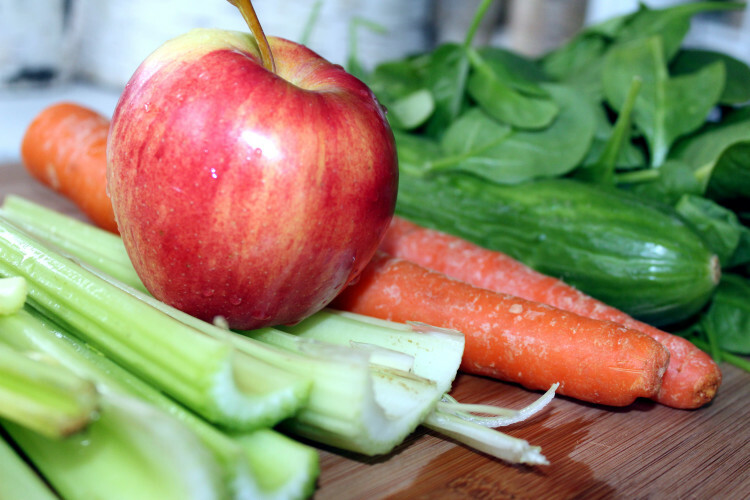 Juicing is an easy way to get in some easily absorbed nutrients from fresh fruits and veggies. 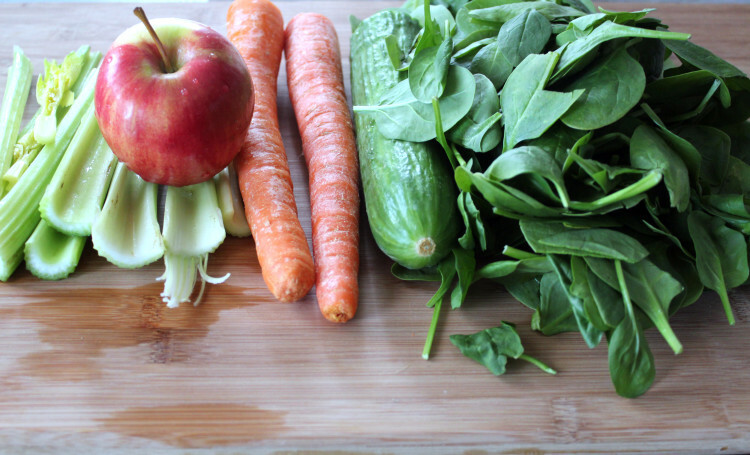 I usually like to have a juice a day but I still make sure to get some insoluble fibre (from the peels) to help fuel my digestion, so I make sure to eat as much veggies and fruit in thier full form. Funny thing about me is that I don’t stop eating. Do not be discouraged by it’s green colour this drink is delicious!